Jared Unzipped: Yule Grog 2015 Part 2: Shipyard Brewing GingerBreadHead Ale. 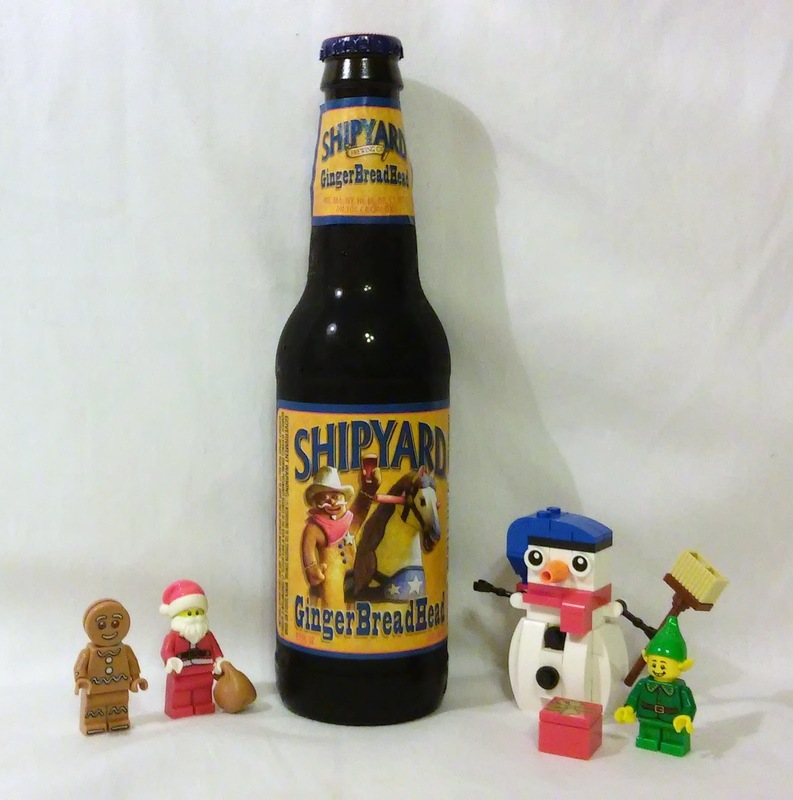 Yule Grog 2015 Part 2: Shipyard Brewing GingerBreadHead Ale. 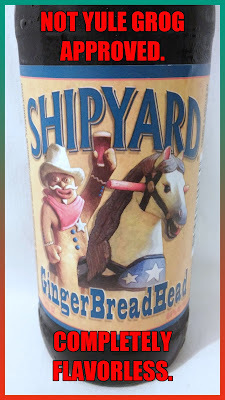 My second brew of the 2015 Yule Grog is the GingerBreadHead Ale by Shipyard Brewing of Portlane, Maine. Created in 2014, this is the second year GingerBreadHead Ale has been in production. It is 4.6% Alc. by volume and available annually between November and February. With each review of the Yule Grog, I'll be taking notes live as I drink the beer for the first time. The notes I write will be divided into two sections -- drinking it cold and at room temperature. My comments will be genuine. I'll highlight what I like and dislike about the beer. No matter what, I'll explain to you my final verdict with honesty. I'm a big fan of all things ginger, so I pray this doesn't disappoint me. Let's get to drinking! Has a dark mahogany color. Possesses a sweet aroma with faint notes of ginger. Tastes like an unsweetened, bland soda. No real taste of any kind. Way more tasteless than I expected. It's like an alcoholic soda pop, but without any flavor. Not unpleasant to drink, just sort of pointless. The aroma of ginger has stayed roughly the same. Almost all of the carbonation has disappeared. Now feels and tastes like a flat soda pop. Might as well have been drinking an out-of-date, lifeless cola. What an utter disappointment. This ale had close to no flavor at all throughout the entire experience. If there was ginger in this (and I suspect there was because I could faintly smell it), then Shipyard certainly didn't add enough to the brew for anyone to actually taste it. I might as well have been drinking an expired Pepsi cola. Bland, lifeless and altogether pointless, I can't recommend GingerBreadHead Ale.